Exciting things are afoot here at Brooklyn Orchids. First and foremost, I’m happy to announce that I’ve finally switched over to my own my boyfriend’s website host, which will allow me a lot more flexibility in customizing my site. I’ve been wanting to do this for a long time, and with the help of my wonderful boyfriend (thankyouthankyouthankyou my dear!! ), the time is now. What does this mean for you as a reader? So far, not much, but you can expect to start seeing some changes here and there. I’m not very well versed in web tech stuff, so it’s going to take me awhile to figure how to do what I want to do around here. In the meantime, if you see anything weird going on with my blog, please don’t hesitate to comment and let me know! The next announcement I have is that the Brooklyn Orchids 2013 Calendar is now available in my Zazzle store! The calendar is $23.00 and includes twelve months of my original orchid photography, mostly from my visit to the Orchid Show this past spring. It makes a great holiday gift for the orchid fiend in your life (and a great gift for yourself, of course!). I’ve also added a bunch of great new products to my store, including a variety of orchid iPhone cases, iPad cases, Kindle cases, and aluminum water bottles. I’m going to be adding even more products to the store soon. If you have any requests for a specific orchid photo of mine on a particular product, please let me know! I haven’t staked the baby’s spike, and I think I might keep it that way. I almost always stake Phal spikes, just because they can get so top heavy, but this one looks like it might do fine as is. I’m curious to see how it looks au naturel when in bloom. 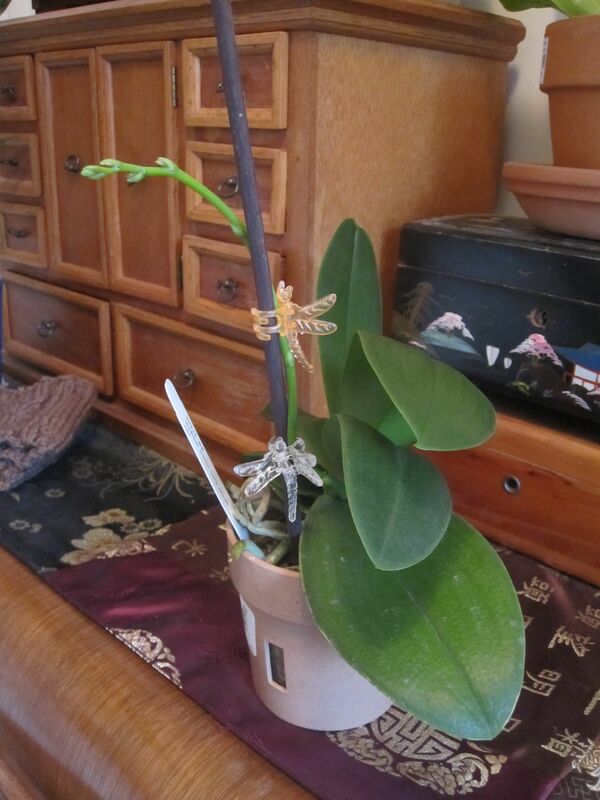 Fourth is yet another Phal in spike—this is one of the orchids that I’ve had the longest. It’s a pretty little guy that I got at Ikea way back when, and it has spiked and bloomed for me several times…now it’s gearing up to do so again! 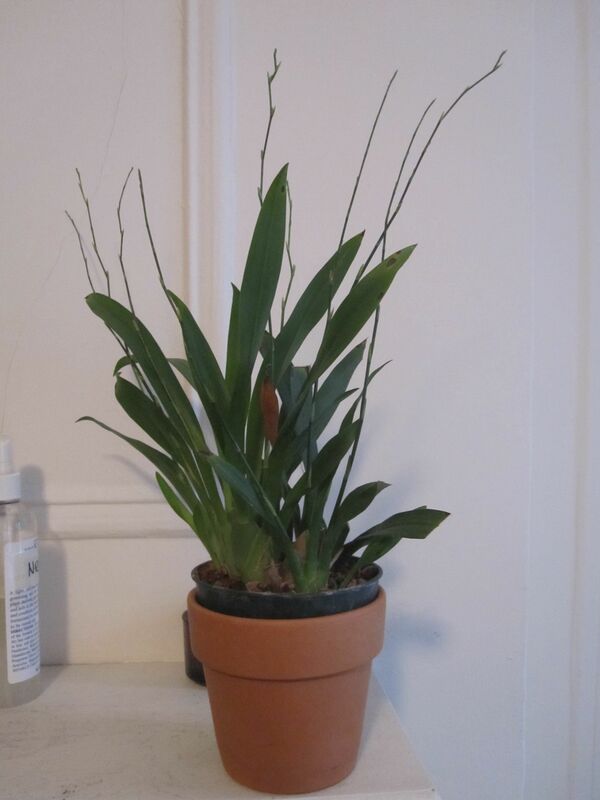 The spikes on my Oncidium Twinkle Fragrance Fantasy are still developing at a snail’s pace, but at long last I think I am starting to see some buds begin to form. 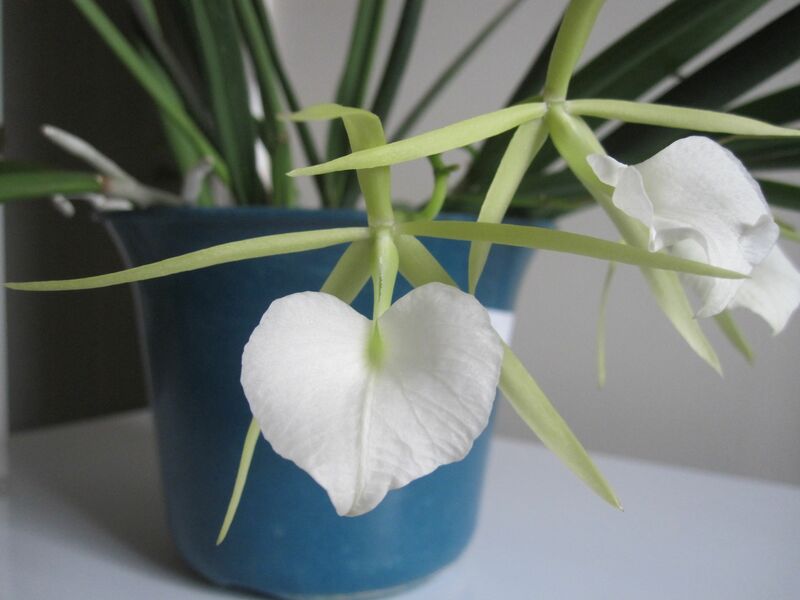 Judywhite describes the orchid like so in her book, Bloom-Again Orchids: “Warning: Twinkle will drive you crazy with its extremely long wait for the buds to open—they can take nearly six months from spiking until the cloud of little blooms appears.” She ain’t kidding! I am enjoying your website. I’m new to the West Coast (Seattle) and since I am now too creaky to garden outside, I’ve begun to get myself educated about indoor gardening. One of my projects is “orchids”. I “educated” myself, and then put on a little workshop here at the retirement community where I live…all for orchids. I had over 20 people (and their orchids) attend. 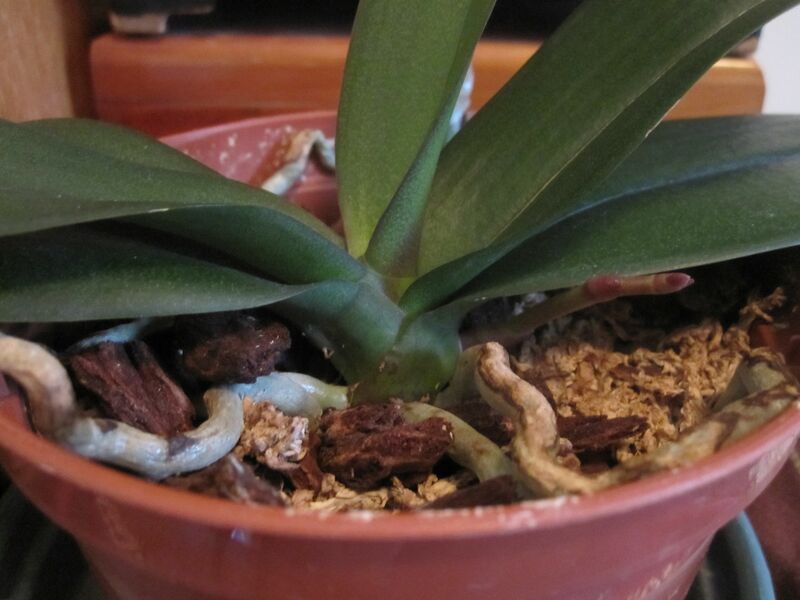 My problem is I have one phal and the leaves are a very dark green. I’ve read that that is caused by either too much light, or not enough. Also, maybe it’s supposed to have dark leaves. How do I tell if my phal is a dark leaved variety, or a light? And what should I do about it, if anything? I do enjoy your blog. I gave the address to all of the workshop attendees, and I’ll bet more than a few are visiting you. I hope you’ll visit my blog (also WordPress-and I like it…that is WordPress). The address is: You’ll also see my Workshop comments there. Thanks for your help… And your blog. I have it on my “Google Reader”, so whenever you post, I get the blog right away! 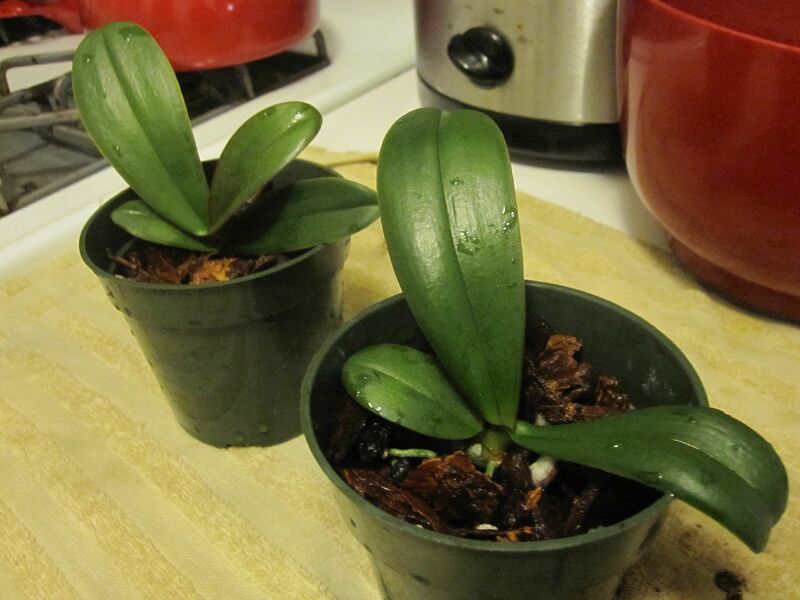 The general “rule” with Phal leaves is that if they are healthy they will be a nice grassy green. However, there are always exceptions. 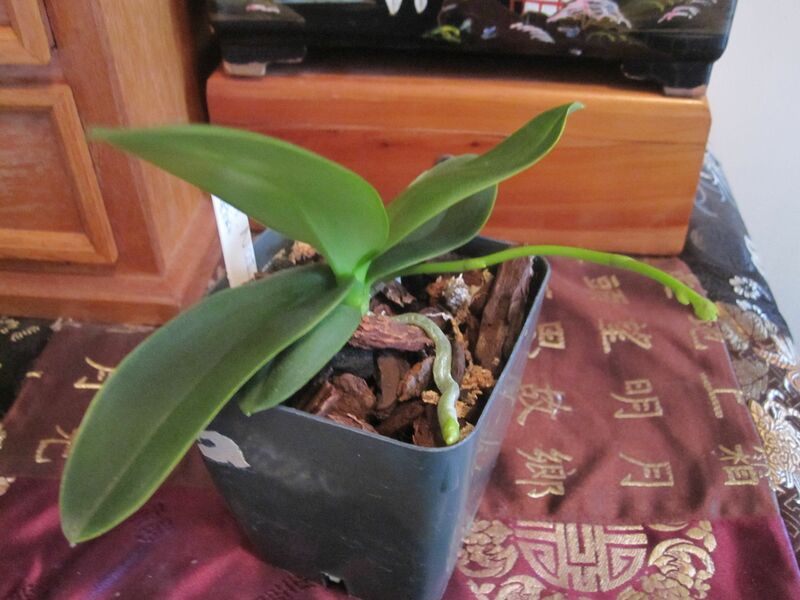 I’ve found that some of my Phals do have dark green leaves and they still seem to be just as healthy as others. I think the “healthy leaf color” depends on what species of Phal it is. Do you know what species yours is, or is it a NOID? You could try moving the plant to a location with a different amount/source of light for a few weeks and see if that has any effect on the leaf color. 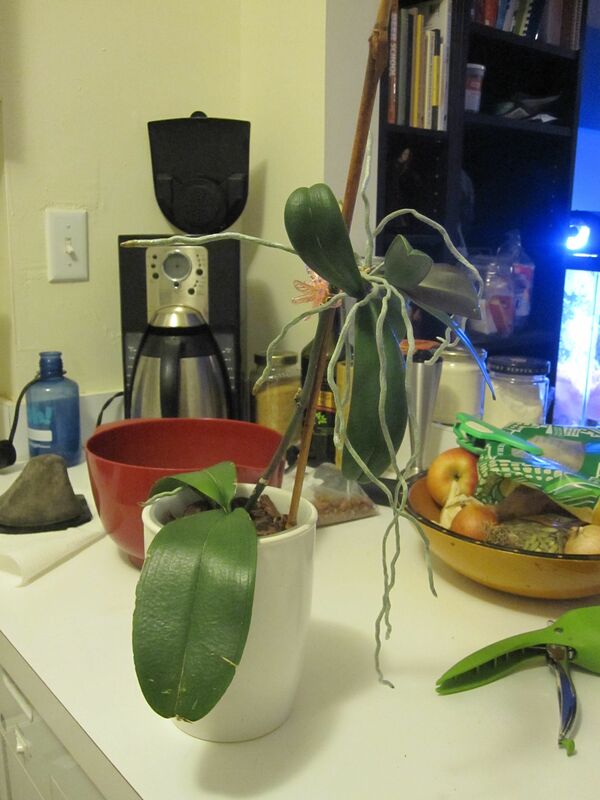 I’ve found that orchid growing involves a whole lot of trial and error. I hope that helps — happy growing! Wow!! , beautiful orchids , thanks for your photos.